noted: Giant tongue + news? 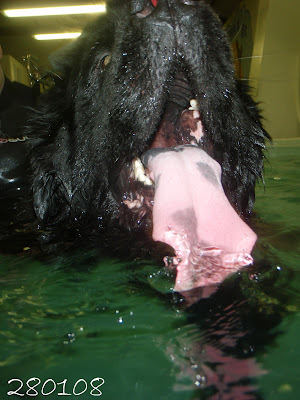 Just a pic of Lola at hydrotherapy - check out the size of her tongue! Plus it shows all it's lovely spots! So just to drive you all crazy again, I've got some more news, but can't reveal it yet! Stay tuned though! Patience will be rewarded... actually that's pretty appropriate!